← Two Invites To The Party! As many of you know, I write about MURDER, MAYHEM and MEDICINE. 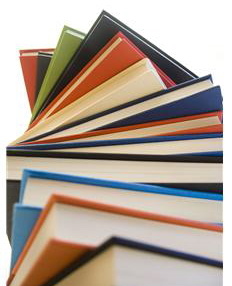 It’s the focus of my website, and the novels I’m writing always contain a healthy dose of each. With years of experience as a clinical pharmacist prior to evolving into a full-time writer, I have a wealth of pharmaceutical knowledge that I now use to conjure sinister plots. Historically, drugs have been used both as instruments to cure as well as to kill. As a healthcare professional, I sought to cure. As a writer, I seek to kill (at least on paper or on a computer screen). So is it any wonder that my weekly blog is called “Prescription for Murder”? With that in mind, I came across an interesting news article recently describing a drug that can both cure and kill. 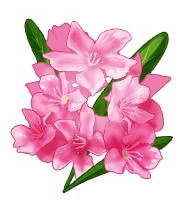 The oleander plant (Nerium oleander) is a common shrub found in warm Southern climates. It grows as tall as twelve feet and produces beautiful, fragrant, colorful blossoms. 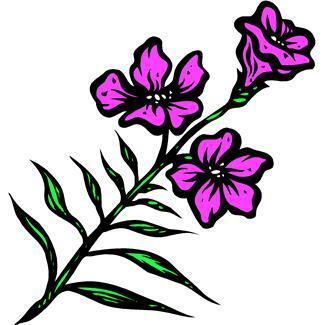 The oleander is indeed a poisonous plant. The milky sap from the leaves and stems contain Oleandrin, a powerful cardiac glycoside so toxic that ingesting one leaf has been reported to kill a small child. Although documentation is poor regarding the exact toxicity of the sap, it’s been estimated that ingesting 15-20 leaves would kill a normal adult (Yes, I also wonder who would consume those on purpose!). Symptoms of an overdose include gastrointestinal (nausea, vomiting, diarrhea), cardiac (both lethal slowing and rapid increases in heart rates) and neurological (tremors, shaking muscles, seizures). Oleandrin, prepared as a drug, has been used for years in Russia and China to treat congestive heart failure and cardiac arrhythmia. Interestingly, it’s also been used as an instrument of suicide in those countries. Presently, Oleandrin is being studied as a promising anti-cancer treatment. Patented drug extracts, developed by a company in San Antonio, Texas, may one day treat colon, pancreatic and prostate cancers as well as melanomas. And tests are also being conducted on leukemia, certain lung cancers and HIV. The primary focus of this company is to develop drugs that treat human malignant diseases by targeting the fast-growing cancer cells. One of their drug formulas is already in Phase 1 clinical trials. As I read about these new developments, I thought about how drugs have been used throughout the ages to cure and kill. Ancient alchemy, as a precursor to modern pharmacology, produced wonderful, life-saving medicines while at the same time spawning lethal poisons for darts and arrows. 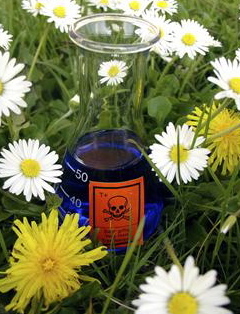 Modern pharmacology has furthered the science in much the same way—so many ways to cure and yet so many ways to kill. As a writer, that gives me a multitude of plot ideas. How about you? Happy writing! This entry was posted in About James J. Murray, About Medications/Pharmacy, About Writing, All About Murder, Blogging, Botanical Murder Weapons, Drugs For Murder Plots, Drugs From Oleander Plant, Drugs Used For Murder, New Drug Discoveries, New Drug Research, Oleander Plant, Oleander Poisoning, Oleandrin, Pharmacy/Pharmaceuticals, Plant Poisons, Tools of Murder, Yuletide Short Stories and tagged Ancient Alchemy Drugs, blogging about drugs, Botanical Murder Weapons, Botanicals Used for Murder, Cancer Treatments and Plants, Cancer Treatments From Plants, crime fiction writer, Death From Drugs, Developing Murder Plots, Drug Murder Weapons, Drugs From Oleandrin, Drugs Used for Murder, Flowering Plant Poisons, James J. Murray, Murder Mayhem and Medicine, murder mystery writer, Nerium oleander, New Drug Discoveries From Plants, New Drug Research for Cancer, Oleander Poisoning, Oleander Sap Poison, Oleandrin, Oleandrin and Cancer, Oleandrin and Cancer Drugs, Oleandrin and Cardiac Arrhythmia, pharmacist to writer, Plant Drugs That Cure, Plant Drugs That Kill, Plant Poinsoning, Plants That Cure and Kill, Science of murder, Symptoms of Oleander Poisoning. Bookmark the permalink. Thank you for sharing. I knew oleander is poisons but who knew it could have such potential. Thank you for sharing.